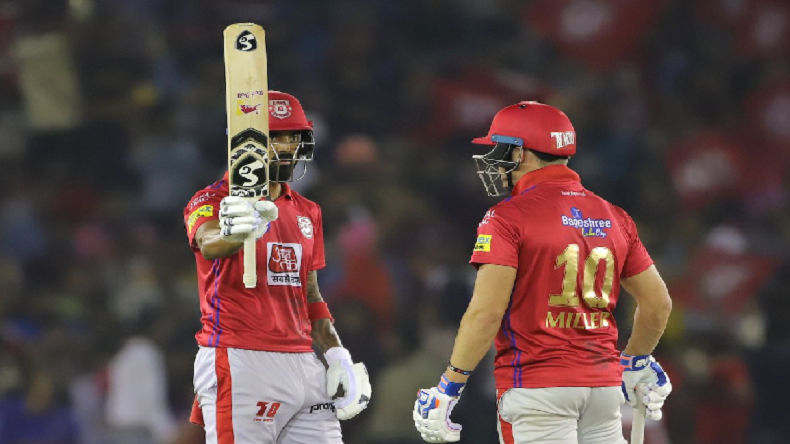 IPL 2019 KXIP vs RR: Kings XI Punjab beat Rajasthan Royals by 12 runs: Kings XI Punjab (KXIP) defeated Rajasthan Royals (RR) by 15 runs in the encounter at Punjab Crcket Associaton IS Bindra Stadium in Mohali. Chasing down a target of 182, openers Rahul Tripathi and Joss Buttler gave a steady start to Rajasthan. The first wicket fell for 38 runs in the first delivery of fifth over. Buttler was dismissed by debutant Arshdeep Singh for 23 off 17. His dismissal was cheered by highly-charged home crowd. After that on field Tripathi and one-down batsman Sanju Samson took the score to 97 in the 12h over. Before crossing 100, Samson (27) lost his wicket off skipper Ravichandran Ashwin. The third wicket fell for 127 with the dismissal of Tripathi (50 off 45) in the 16th over. The team needed 56 in the last fours overs with seven wickets in hand. Rajasthan were hoping Ajinkya Rahane and Aston Turner could lead team to victory but their hopes did not last long as Turner departed without troubling the scorer. Rahane also lost wicket for 26 off 21. Though Stuart Bunny smashed 31 off 11 in the dead overs with three sixes and two boundaries, but he could not help Rajasthan to chase the total. For Punjab, Arshdeep Singh, skipper Ashwin, Mohammad Shami picked two each wicket while Murugan Ashwin claimed one wicket. Batting first, Punjab posted a defendable total. They got a better start with its openers making 38. For Rajasthan, Jofra Archer picked three wickets, Jaydev Unadkat, Dhawal Kulkarni and Ish Sodhi took one each wicket.